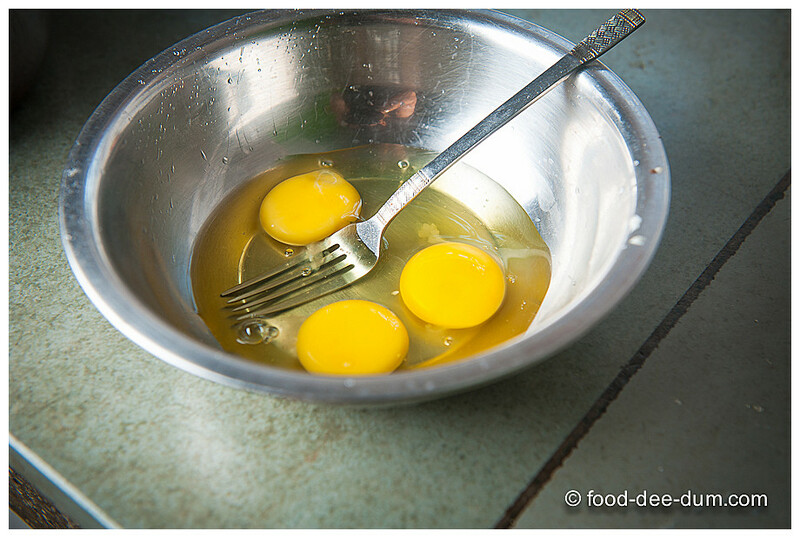 If you follow this blog, then you will know that AK can eat eggs for 3 meals a day, every day. In any form. 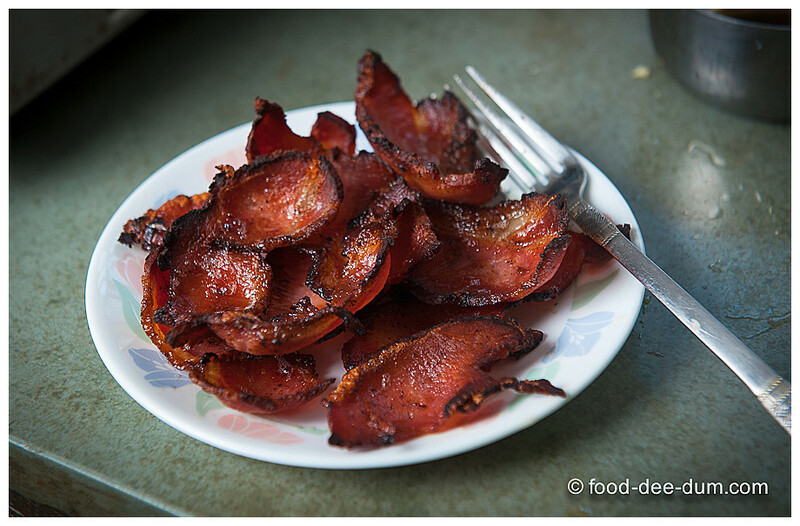 Add some bacon to them and that’s elevation to another level. 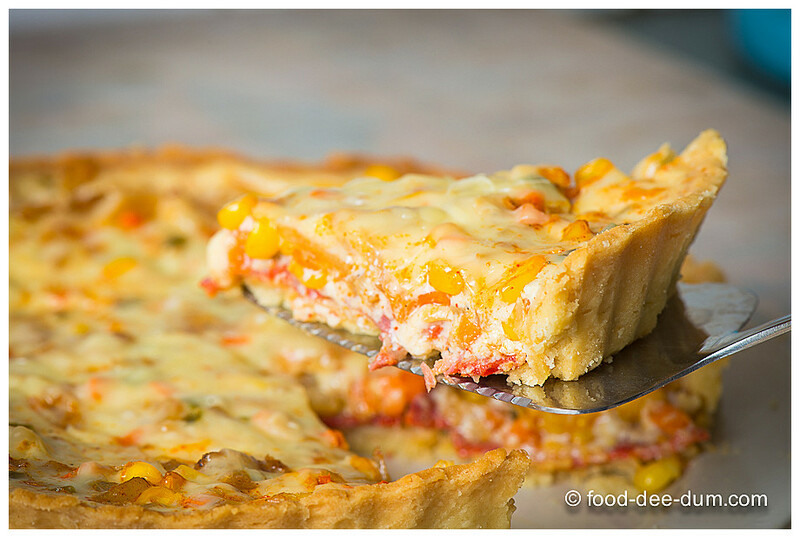 Put everything inside a pastry crust, then there’s no turning back. 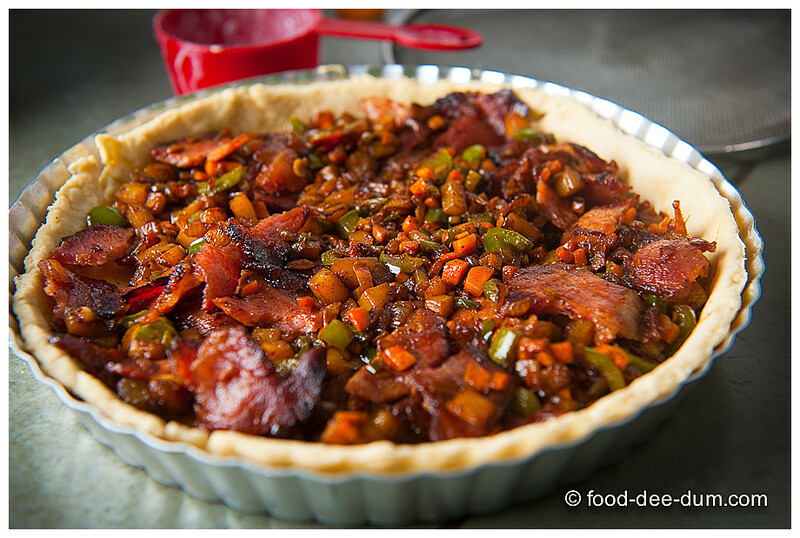 This brings me to quiche, which was my brilliant idea for Sunday breakfast/ brunch! 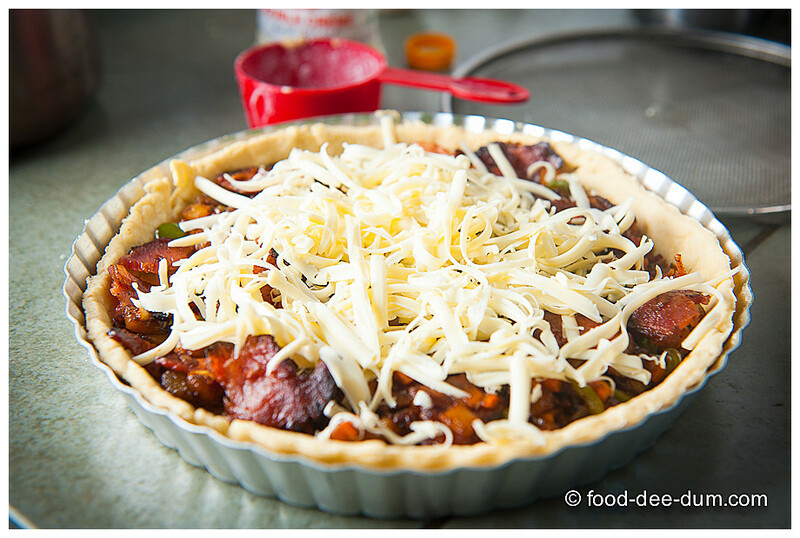 I’m not sure how many of you are quiche experts but they always seem very sophisticated and slightly daunting to me. 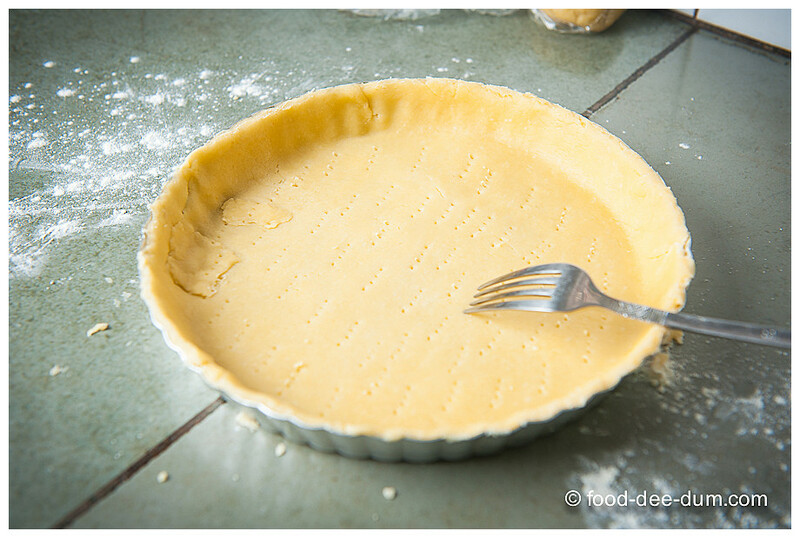 And, of course, the pastry shell is something that I very recently conquered my fear of, but haven’t mastered yet. Hopefully a few more pies and quiches and I can handle the crust like a pro! 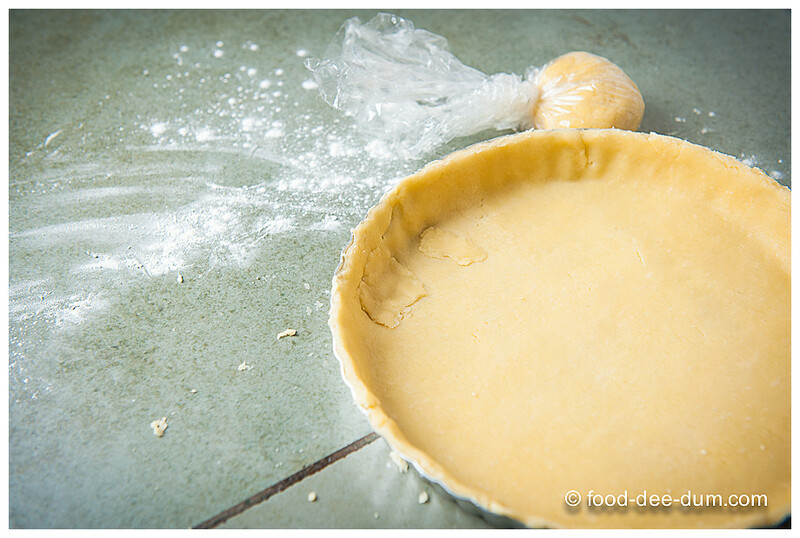 In the meanwhile, I’m thankful for the instructions over at Joy of Baking for the pre-baked pie crust and the filling is adapted from all over the place, including the JoB. 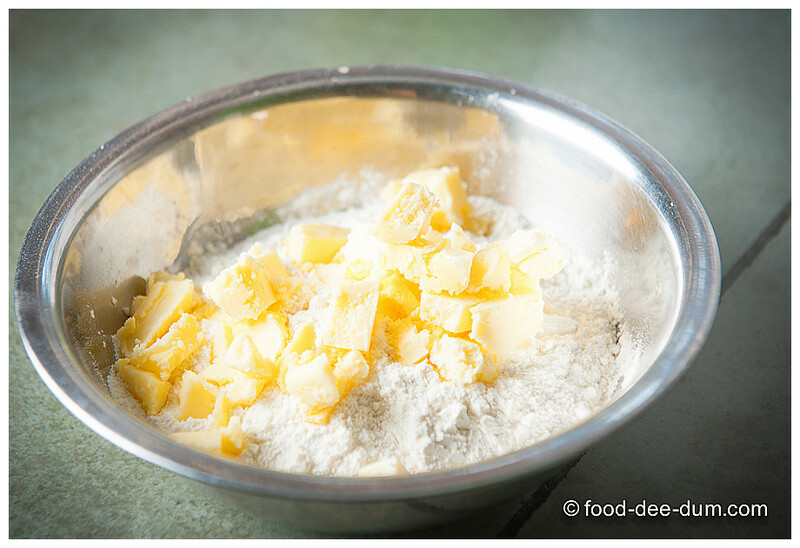 I measured out the flour and mixed in the salt & sugar and added cubed butter. As JoB suggested, I cubed the butter and popped it in the freezer 15-20 mins prior to beginning. This ensures that it isn’t the least bit soft. 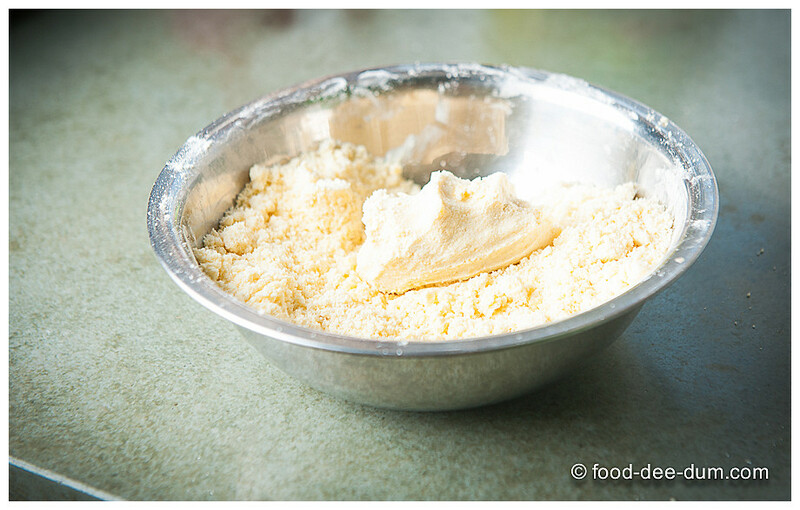 I rubbed the butter into the flour using my fingertips – pinching and mixing till it resembled fine crumbs. 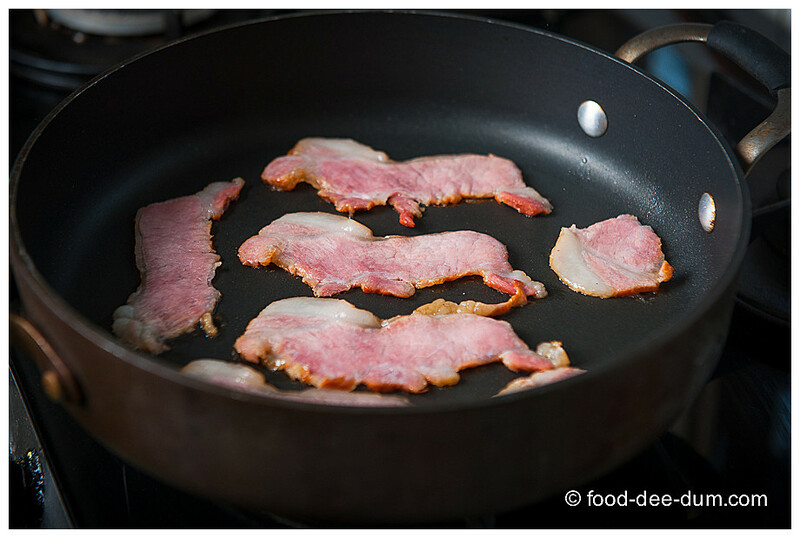 You’ll know it’s ready when a fistful of it, pressed hard, will almost hold the shape. 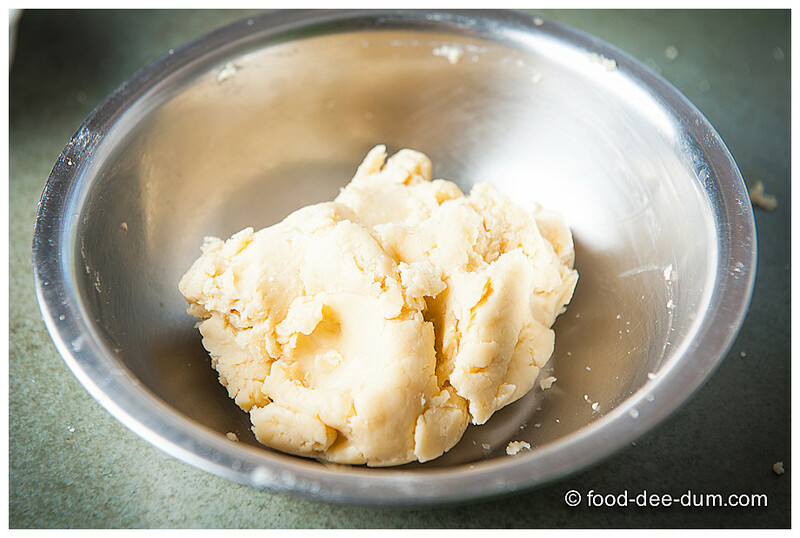 I added the water, one tablespoon at a time and mixed it just until it clumped together – it should not be a comprehensive smooth ball of dough. Rather, it should be slightly crumbly. Gathering it into a ball and then flattening it out into a thick disc, I wrapped it in clingfilm and put in the refrigerator for half hour. 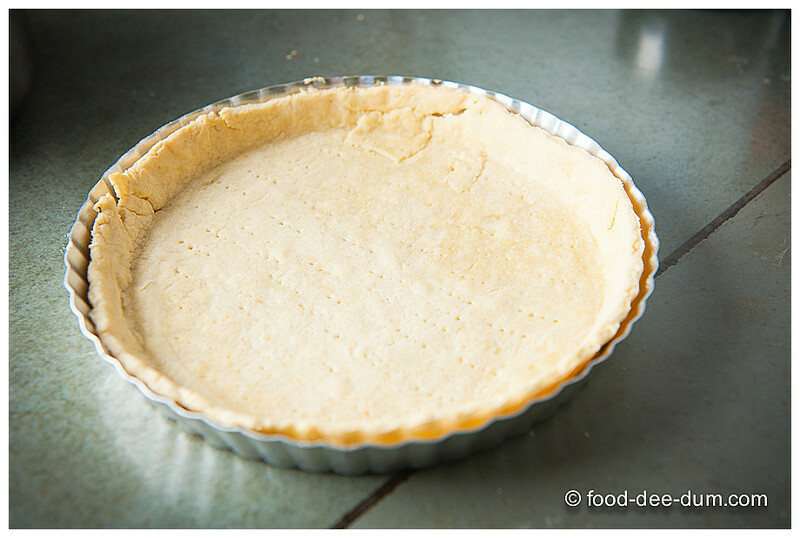 While the dough was chilling, I proceeded to make the filling. 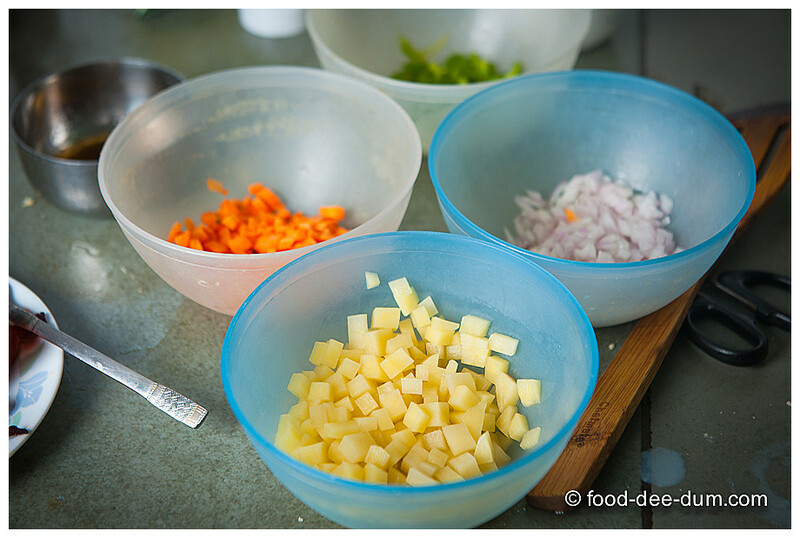 First, I diced all the veggies – onion, potato, green capsicum, carrot. 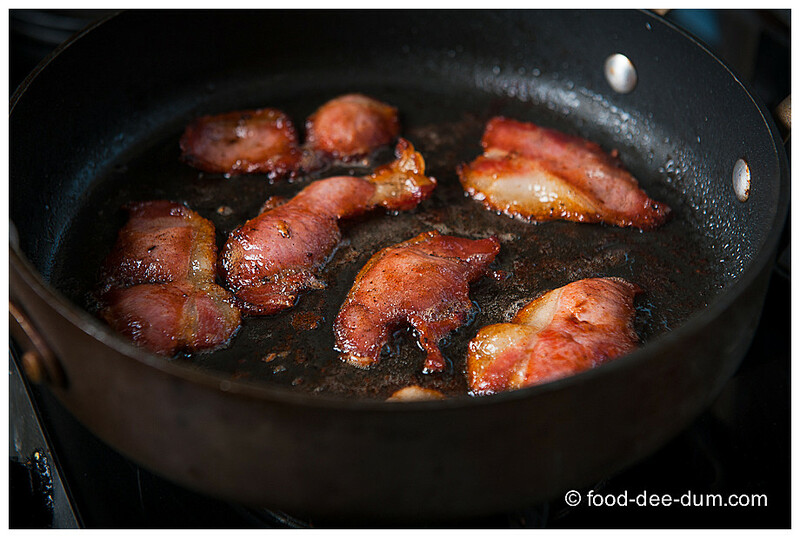 Heating a skillet on medium-high, I put in the bacon and cooked it till semi-crisp (about 2-3 minutes) in two batches. I lifted it out of the skillet with a fork and kept it aside on a plate. 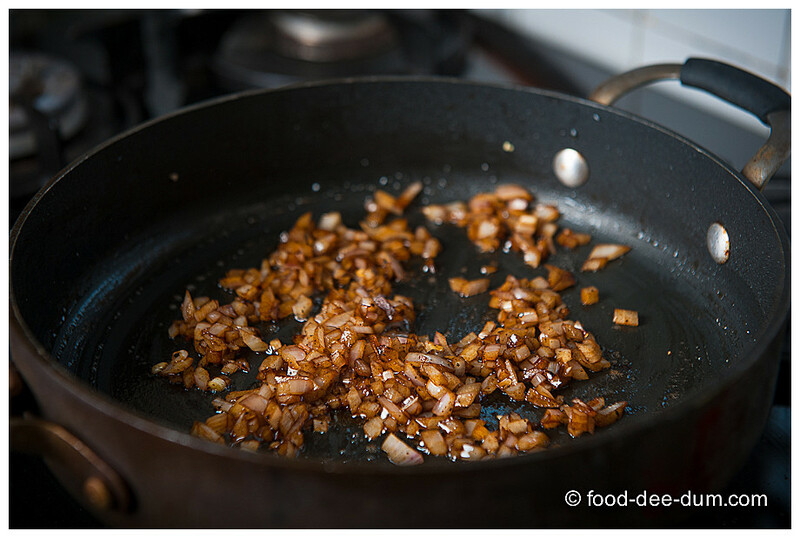 Draining most of the bacon fat from the skillet, keeping only about 2 tbsp in it, I added the onions and fried till soft. 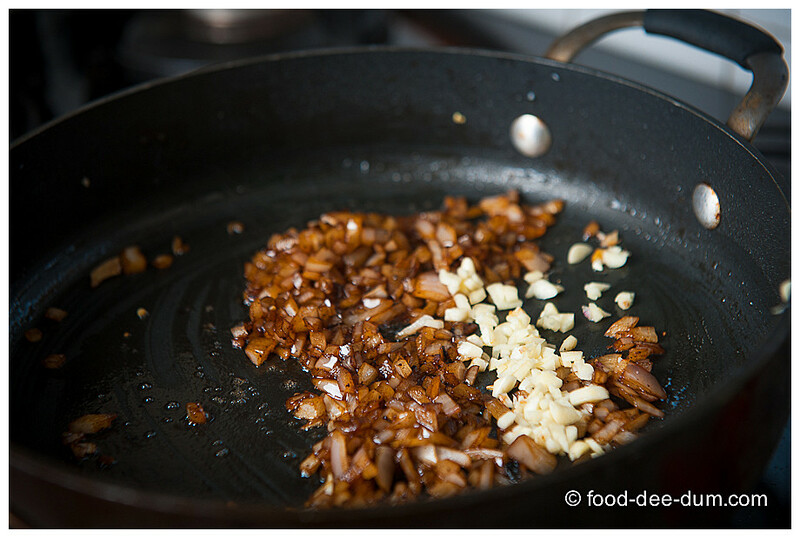 Then the garlic and fried for another minute. 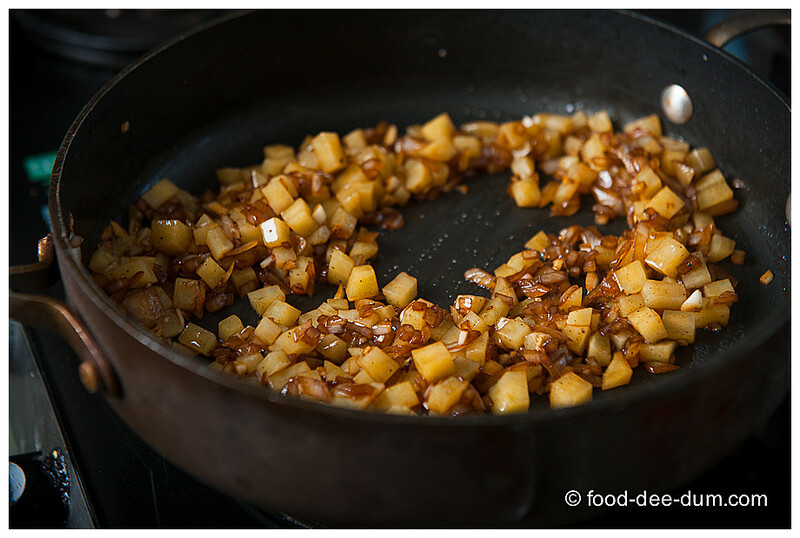 Adding the potatoes, I lowered the heat and cooked, stirring till the potatoes were cooked almost all the way – about 6-8 minutes. 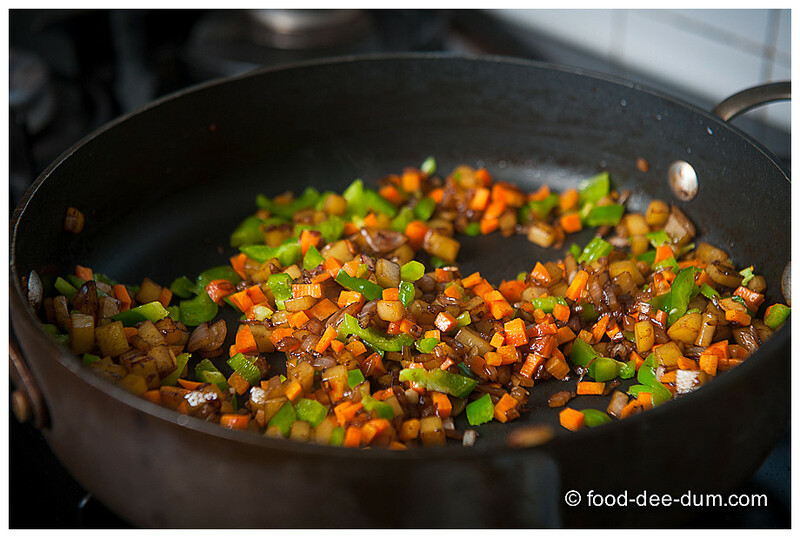 Increasing the heat, I added the carrots and capsicum and cooked it for one more minute and then added salt+pepper to taste. 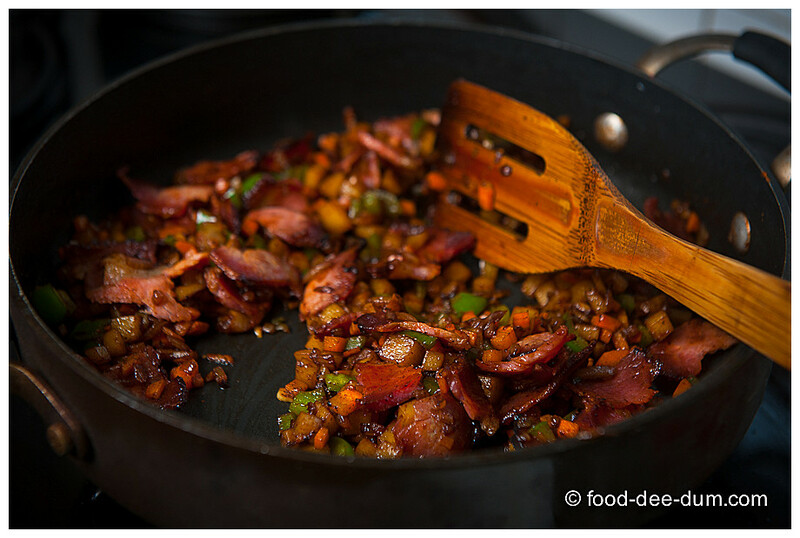 Finally added in the bacon – roughly crumbled into bite sized pieces – and took the veggies off the heat. Setting these aside, I allowed them to cool. 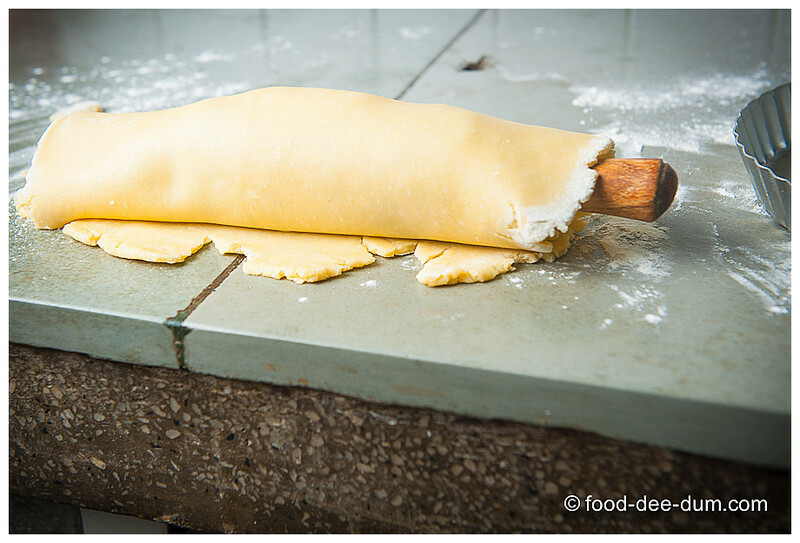 Turning on the oven to pre-heat at 220 C, I pulled out the dough from the fridge and placed it on the floured counter. 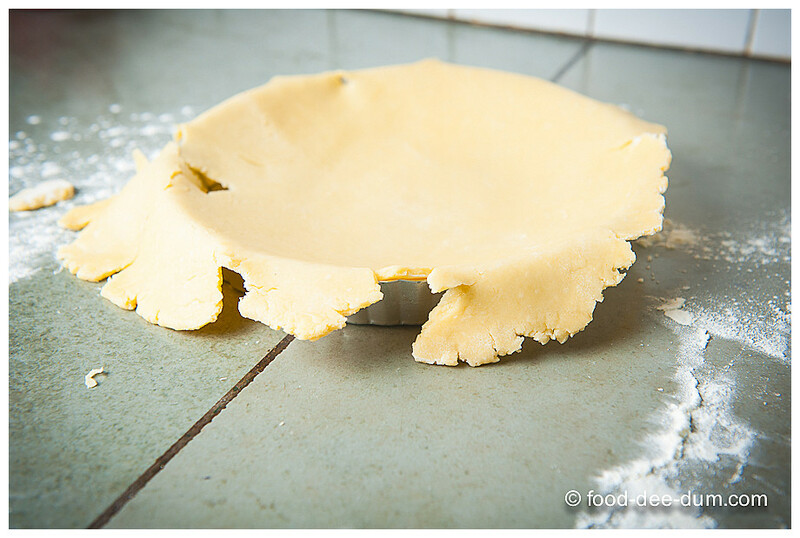 Using gentle pressure, and flour to dust as necessary, I rolled out the dough – from the centre outward – until it formed a circle a few inches larger than the pie tin (to account for lining the side wall as well). I greased the tin very lightly with butter. 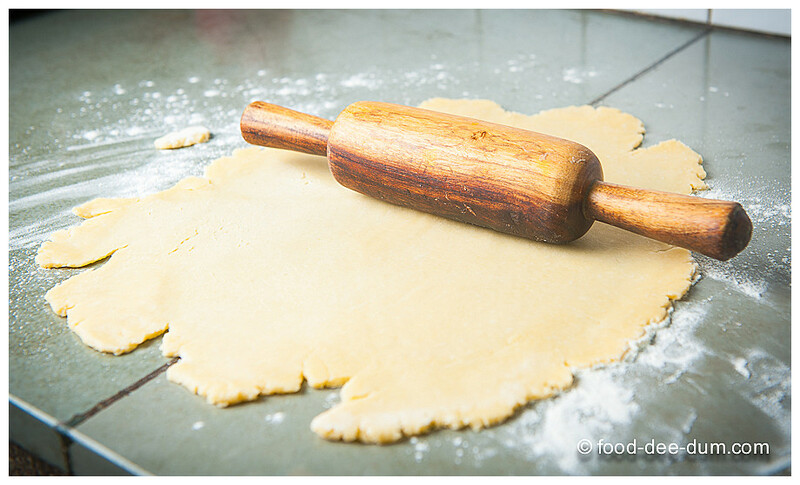 Then I gently rolled the dough around the rolling pin, lifted it up and draped it over the tin. Can you see that big crack in the dough? If you have one like it, then re-roll and re-drape. Don’t just pinch it closed and seal. I’ll explain why, shortly! 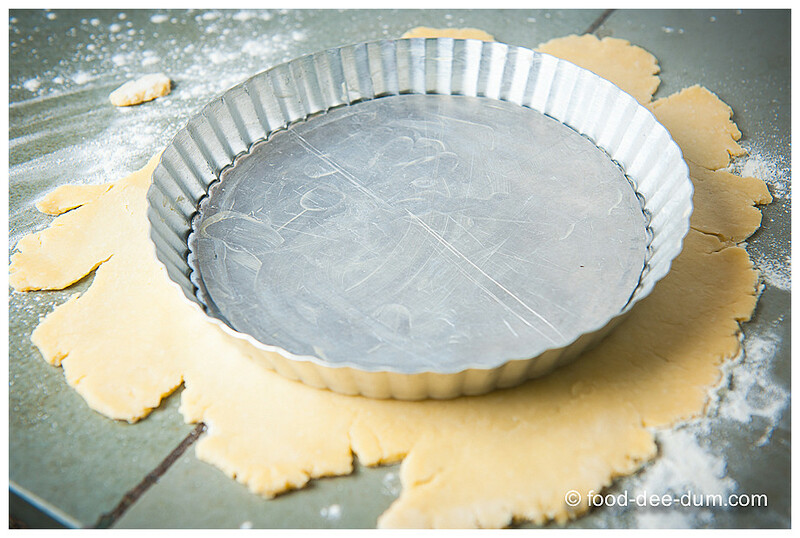 To fit the dough better in the tin, lift up the edges and gently press it into the bottom and up the side wall of the tin. 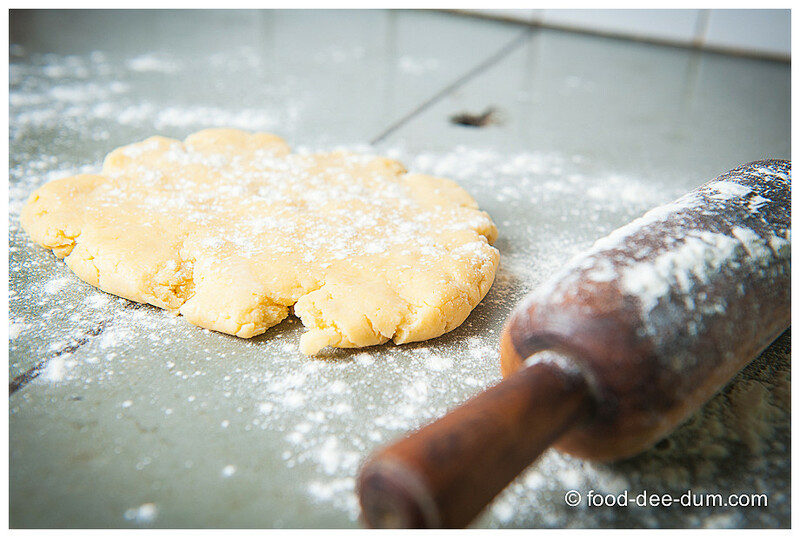 Then trim off the excess dough from the edge of the tin and prick the bottom of the pastry gently with a fork. Don’t make any big holes though – this is also tied in with the big story I have to tell shortly! See that patch up I did? Bad move. Here’s why. I have a big confession to make – this quiche attempt failed miserably because the egg-milk-cream filling leaked out of my shaky patch up job, flowed through the teeny-tiny gap in the tin’s removable bottom and ended up on my oven floor – burning and smelling horrible! So I made the quiche again and I got it right the second time. 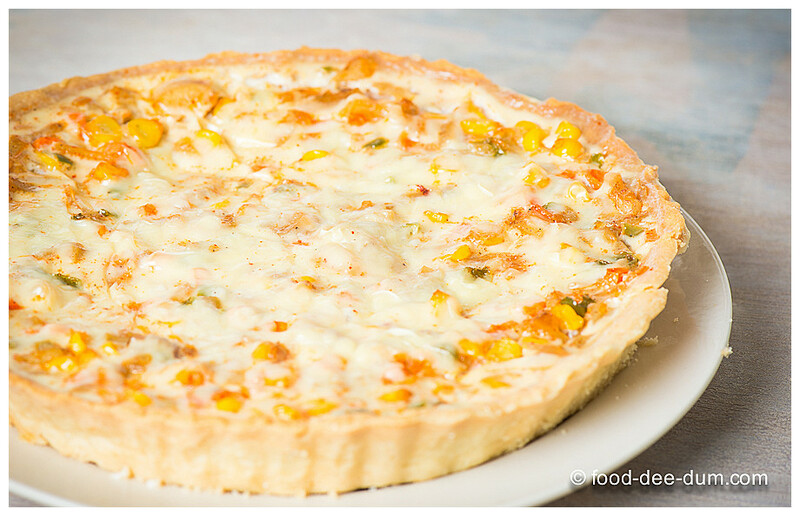 (All the pics in this post are from Version-1, except the last two of the baked and finished quiche. Version 2 had only 1 additional ingredient – frozen sweet corn). 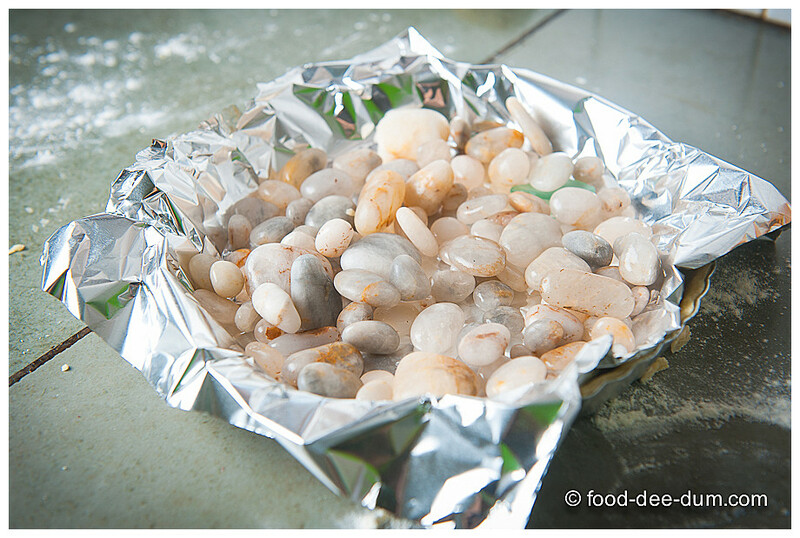 Anyhow, I covered the shell with a lightly greased sheet of foil and added the pebbles as weights – all the above steps were to prevent the shell from puffing while baking. I popped it in the oven for about 20 minutes. As you can see, it is still slightly damp. This is what happened after the next round of baking – sans foil and weights. 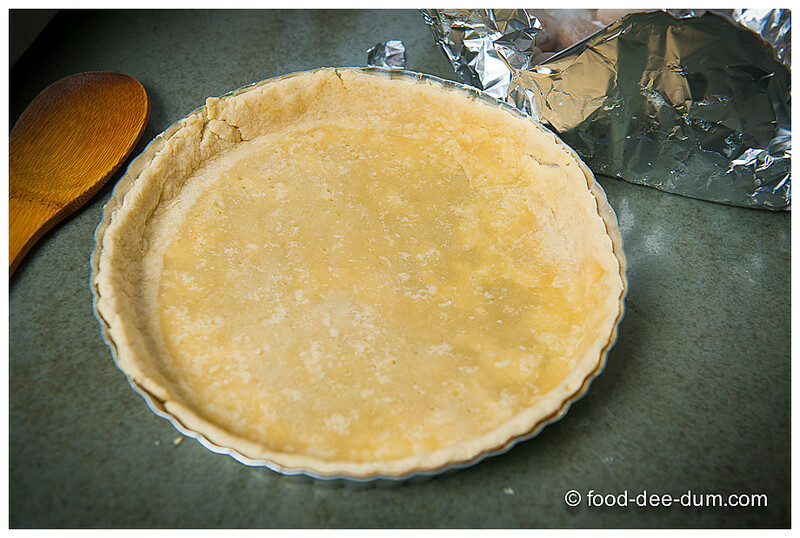 Notice that it shrinks a bit – so while you’re adding the filling, ensure that it doesn’t spill into the space between the shell and the tin — else it will leak into the oven. 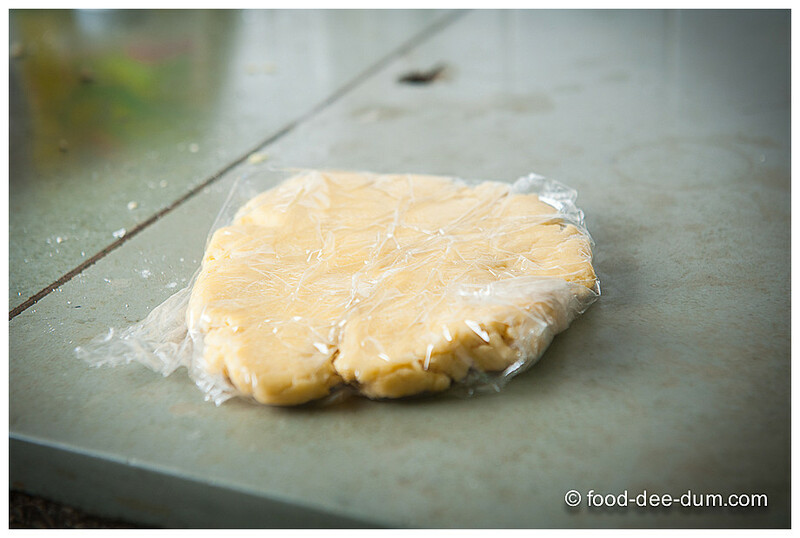 Allowing this to cool slightly on a wire rack, I quickly got the filling ready. 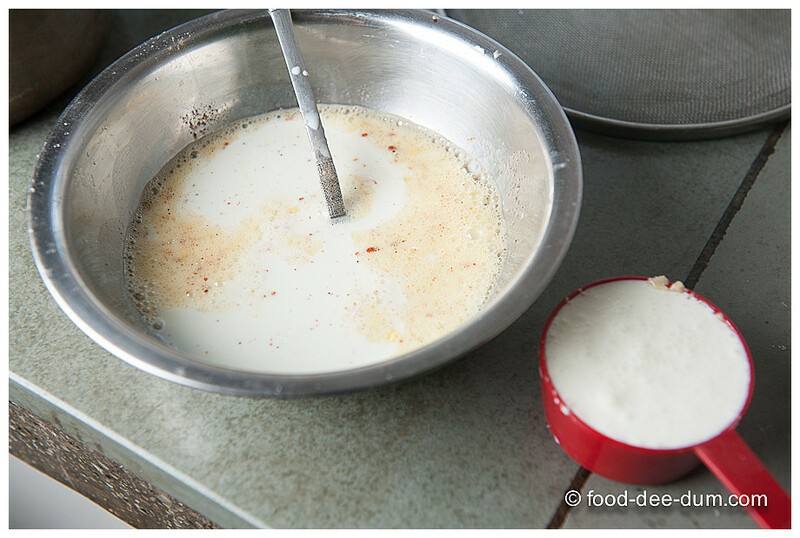 I whisked the eggs, added the milk and cream as well as the salt, pepper and chilli powder. 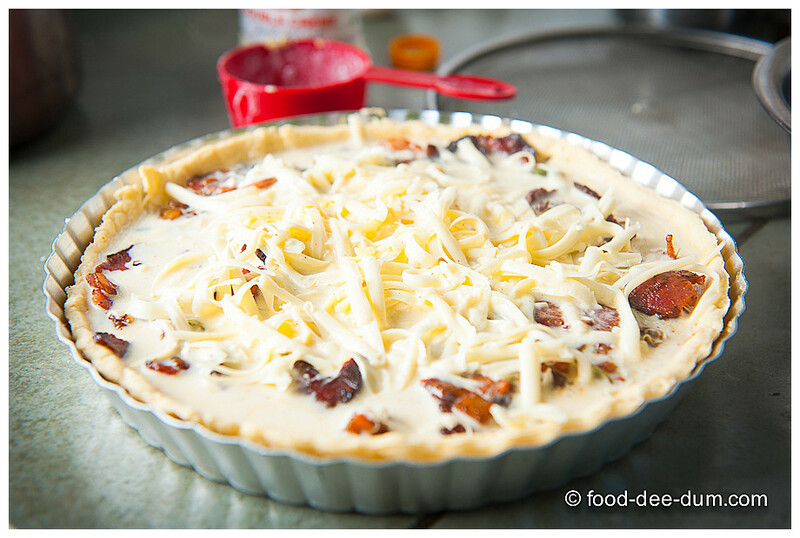 First I spooned in the veggie and bacon mix into the shell, grated some cheese over it and then finally poured in the egg-milk-cream filling. Popping this back in the oven, I baked it for about 20-25 minutes or until the centre barely jiggled. It solidifies completely once it cools so there’s no need to ensure that it’s rock hard while in the oven! I extracted it from the tin and served it warm!